Dear Reader Adelaide’s CBD is surrounded by parklands. 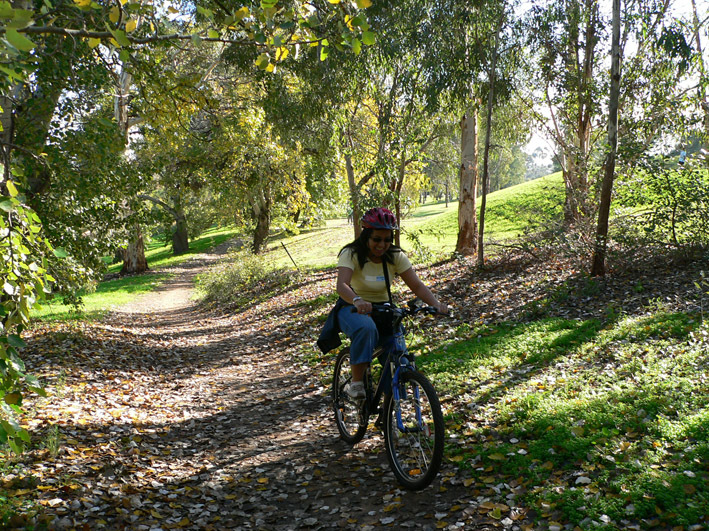 They are a place for workers to enjoy during a lunch break or cyclists and joggers to traverse on the daily commute. They set the tone for the city and also provide a natural backdrop to the everyday business of the state’s vibrant capital. They were conceived by the city’s founder and first governor Colonel Light and are still treasured and protected by those who live in the city and inner suburbs. The ecology of the parklands like the commerce of the city has its own rules and hierarchy. 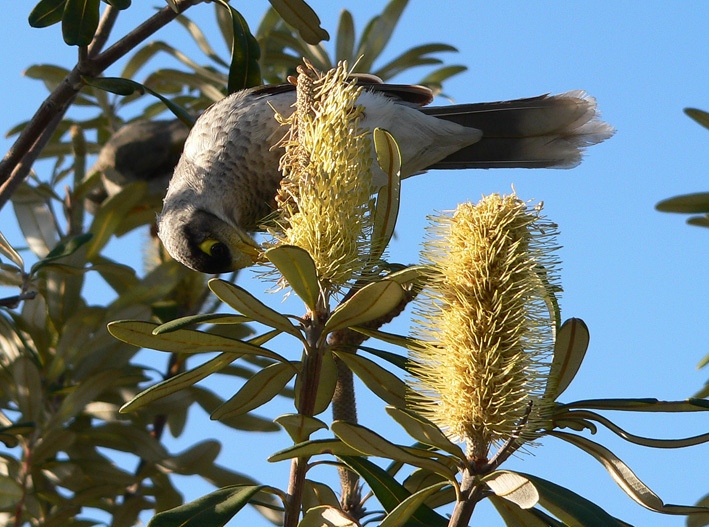 magpies and miner birds aggressively mark out and defend their territories, brushtail possums enjoy the nightlife and screeching rainbow lorikeets seem to know everyone’s business. 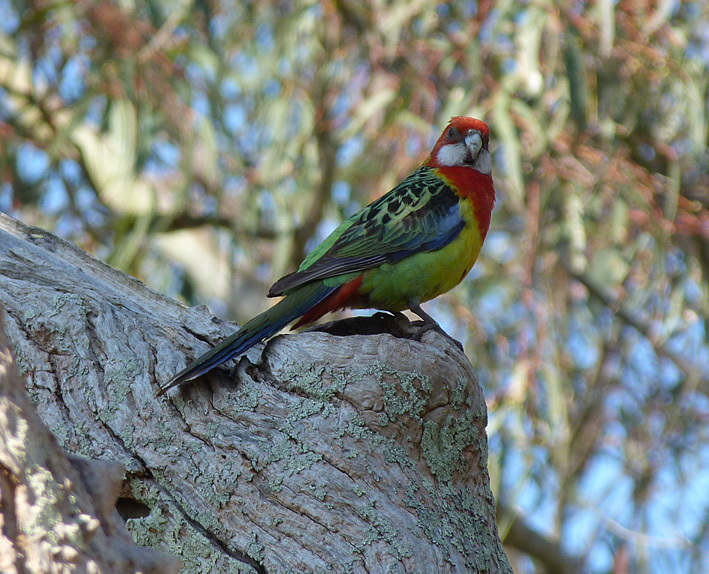 One of my favourite animals in this urban ecosystem is the elegant and colourful eastern rosella. They are found throughout the Adelaide and Mount Lofty region and seem to have a preference for open woodland where they can find suitable nesting holes, preferably in old growth trees. There has been a pair raising their young in a white cedar in front of my home this year and when I go for an evening walk I can hear the young ones deep in the tree calling to the adults. Adelaide rosellas are around 35 cms in length with females being slightly smaller with a faintly orange cast to their plumage and less defined markings. They create a nest up to a metre deep within a tree hollow. Both parents feed the young. 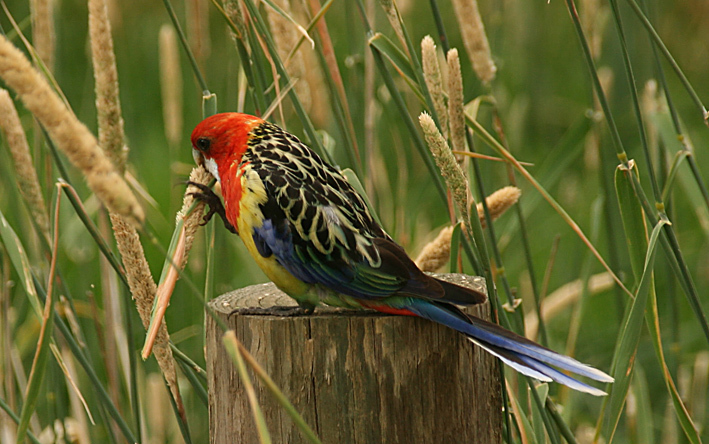 Rosellas are mainly seed eaters and feed mainly on the ground. 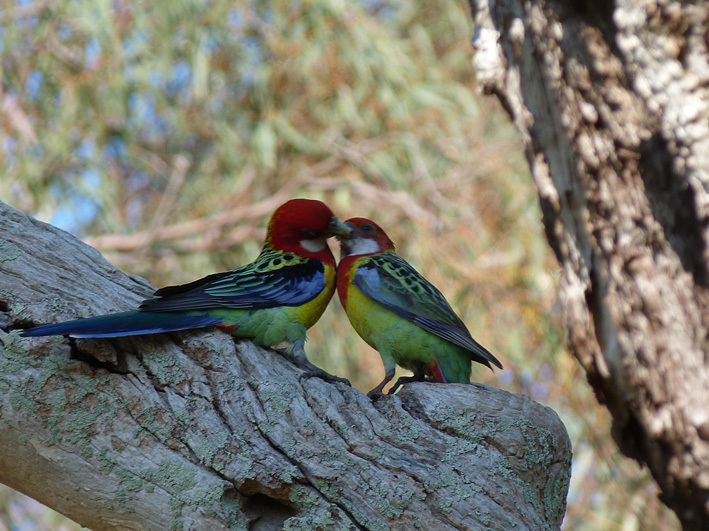 For me, one of the attractions of rosellas is their is its truly unique South Australian connection. 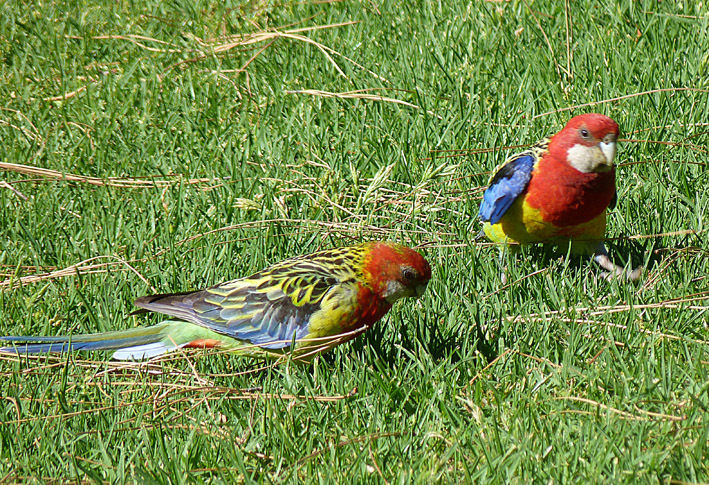 Indeed one particular type, the Adelaide rosella, only occurs within a few dozen kilometres of the city. It is actually a hybrid of the yellow rosella which inhabits the Murray River valley and the crimson rosella which is more prevalent in the south east of the state. If you walk through the parklands during the spring and summer months it is not difficult to observe these colourful rosellas exhibiting a full range of behaviours from feeding to nesting and mating.